Home Tags Posts tagged with "lawyers"
Lawyers use legal fees to keep their companies going. These fees keep the lights on in the office and the staff paid. There are many different options for attorneys in how they do their fees. The choice in fee structure usually depends on the type of case the attorney handles. Without these fees, the attorney could not actually support their practice throughout the year. What are the Options for Attorney Fees? One of the most common types of attorney fees is the hourly rate. An experienced attorney can estimate how many hours a case will need so the client knows ahead of time what to expect. The fees vary significantly by attorney and area though, so clients may shop around a bit. Flat fees are another common choice. These are typically used for procedural items, such as setting up a will. Each procedure takes the same amount of time and effort. Therefore, the attorney does not need time to reinvent the wheel to win. Contingency fees are common in personal injury cases. Instead of an upfront charge, the attorney does not collect a fee until a certain outcome is reached. This possibility works well when the client does not have the money to pay upfront. However, the attorney is taking on the risk. Retainer fees work well for individuals who plan for certain events. The client pays a fee into a special retainer account. As the attorney works for that client, the fees are deducted out of the account rather than billed to the client. When the attorney-client relationship ends, any remaining fees not covered by the retainer are billed to the client. The last option is what’s known as a statutory fee. These fees are set by the courts rather than the attorney. The attorney then accepts that fee rather than what they would charge otherwise. Each possibility for paying an attorney has its merits. However, each is also most useful in specific situations. There are also significant variables on how the client will handle paying the fee for the attorney. How do Structured Attorney Fees Work? Like many financial decisions, it is important to understand the benefits of one choice over another. Structuring attorney fees is no different. Structured attorney fees are like setting up a payment plan, which helps both parties. Structured fees can be used in many scenarios, even if originally the fee structure was different. On the attorney side, the office sets up an arrangement with the client to pay a certain amount every month for a certain amount of time. This mitigates the client’s chances of financial hardship. The office then administers this payment plan, spending hours following up and doing paperwork. Structured attorney fees act as attorney payment plans over the long term. In many cases, they offer more benefits to the attorney’s practice than they do to the client, though what they offer the client is impressive. Structures fees turn into structured payments. Structured payments then come in regularly, even in the case of vacation or a slow month. This means there’s no danger of running out of money. It also allows legal offices to plan out their finances in advance, rather than hoping there are enough clients who can pay every month. There are also potential tax benefits for an attorney’s office. Ideally, the structured payments mean the individuals are not bumped up to the next tax bracket. There is a very real risk associated with lump sums that taxes will take a significant chunk of the profit. Structured payments are smaller and can be planned for by the bookkeeper. Structures payments are also a way to protect the money. Since the money is coming in over time, it’s more difficult for it to be included in judgments against a firm. It’s also more protected from creditors and divorce decrees, should those become a concern. Structured attorney fees work well for both the client and the attorney. In many cases, they’re the right option, though there are some potential exceptions like criminal cases. Each situation is unique, and the attorney’s office must decide what level of risk they would like to take in the case. Structured attorney fees offer attorneys an increased chance of collecting the full amount from the client. In many cases, clients cannot necessarily afford to pay attorney fees upfront without putting themselves in a precarious financial situation. By offering a payment plan option, attorneys can attract more clients. Structured fees allow an attorney’s office to run without worry month to month. In an ideal world, the clients pay on time without prompting and there are no issues. There’s a certain amount of uncertainty involved in trusting people to pay. It’s worth noting that attorneys do not have to administer their own payment plans. In the age of software and outsourcing, attorneys do not have to keep their own accounting department. Instead, they can outsource to a service or software to save themselves expenses. Then the outsourced company does the payment chasing instead. That has the potential to save tens of hours of manpower every month. Outsourcing may not be a possibility for every office. A particularly large office may find it beneficial to keep their own billing department. However, options exist now that haven’t existed in the past, and using them can put a legal office at an advantage. There are many options for gathering attorney fees. Some favor the clients, while others favor the attorney in the written terms. Everyone has the options, depending on the situation and circumstances. However, there is one option that offers more stability on both sides. Structured attorney fees smooth out the process of payment for services rendered on both sides of the equation. The client has more opportunities to pay without risking their own wellbeing. The attorney receives a steadier stream of income and potential tax benefits. Structured attorney fees work well for both sides of the relationship in the long term. We are living in a world of rules and regulations. Wherever we go, whatever we do, we need to be accountable for our actions. We are required to conform to different guidelines set before us. Since we are in a law laden world, knowing when to defend our rights is really a must. In defending us, lawyers definitely can do the work. An attorney, counselor, or solicitor is a licensed professional who advises and represents others with regards to legal matters. Not all legal matters require hiring an attorney, e.g. you are caught violating traffic rules like speeding. Laws are vast and complicated and knowing when to get and not to get a lawyer will help you save effort, time, and resources. What are the specific cases when you really need a lawyer? When you are involved in a criminal offense, you should seek a lawyer to represent you. 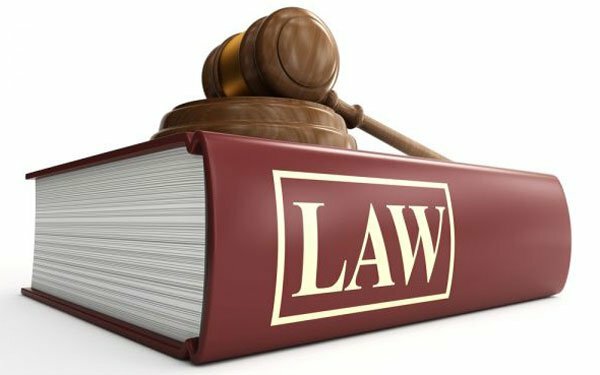 This area of law deals with offenses that interrupt the regulations of a locale, federal governments, or a state. In this kind of law, there are misdemeanors or just small offenses and felonies or belonging to more serious crimes. Get a lawyer as soon as possible to protect your rights or to defend you whether you are guilty or not. Prevention is better than cure, so get one before you land in jail. Being a lay man, it will be a struggle to beat deadlines and codes of behavior especially for filling and filing legal documents. You certainly need an assistance of a lawyer for this one. In suing and being sued, the penalties of a damage may result in the loss of a big deal of money or property. To avoid this, you need to get an experienced counselor. Whether you are the one who is injured or the one who injured, get a seasoned attorney. You are not aware of the laws of compensation rates for damages, so getting someone who knows will give you a breather. This way, you will be sure that every money that comes out of your pocket for paying the actual damages is a reasonable one. Complicated cases of divorce, wills, and rights where issues of savings, support, property, and investments are quite a feat. Hiring an able attorney to untangle the mess is a must. You need all the help you can get in terms of legal matters since these kinds of cases are going to be emotionally taxing. You cannot file for bankruptcy without a lawyer so you really need one. Never try to navigate all of the legal requirements alone. Get a competitive lawyer. Having an attorney by your side will help you in making important decisions about your business and what you will do if you have to close it down. Spare yourself from all the problems that could come your way by tapping a lawyer. There are a lot of Corpus Christi lawyers out there who are ready to extend legal assistance. A good legal representation may come with a price but neglect it when you need one may be a more costly act. Armed with these, you now know when to get or not to get a lawyer. Rich man will become beggar quickly when he is knocked down by a speeding bus or other transport vehicles. Hospital will charge exorbitant amount from the accident victim for various types of treatment and discharge him only when he pays full amount. These expenses will normally run to several hundred dollars and the victims will be left to lurch when these types of major accident takes place. But the good news for these types of road victims is that they can sue the negligent drivers in the court of law and get the medical reimbursement very quickly when they file the case through this affluent law firm which has experienced and tamed personal injury lawyers. Companies have to maintain the floors properly round the clock and if due to negligence of the owner the visitors slips and falls due to wet floor they can sure the culprit in the court of law through this law firm. Personal injury lawyers working here have years of experience in slip and fall and other major car accident laws. They will bring the negligent owner to the court of law and punish him immediately. Slip and fall accident normally occurs in Hospitals, shopping centers and other such commercial establishments. Administration department has to maintain all the floors properly and if someone falls due to we floor the administration executive will have to face the trail in the court of law. 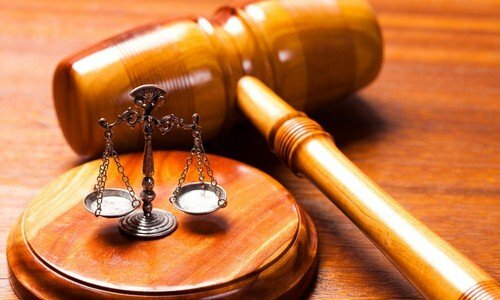 Judge will decide the compensation after taking into various parameters such as disfigurement, emergency medical expenses, loss of income, emotional distress and so on and the petitioner will get wonderful compensation from the court of law. Poor office upkeep and maintenance is a very serious offense and accident arising out of these problems will be taken seriously by this law firm. People those who have accidentally slipped on the wet floor should raise a complaint with the administration department, report the matter to top personnel, create evidence and approach this law firm. It is worth to note that this legal entity is one of the best Law firms in California. Customers those who have received very low compensation from the insurance companies can engage one of the personal injury lawyers working here and fight for higher compensation. When these lawyers take up the cases the insurance companies will increase the compensation amount and oblige. Some of the professional services that are offered by this world class law firm are eminent domain, personal injury cases and litigation. Visitors will be happy when they explore the blog and showcase interest to hire one of the experienced personal injury attorneys immediately. They will understand the capabilities and intellectual thinking of these lawyers when they watch the videos that are posted on this site. Negligent drivers should not roam around in the city and they should be punished through this law firm. This firm has dealt with bicycle, pedestrian and other types of road accidents in a professional manner. Author’s Bio: Rangamani is an author for this content who has enough knowledge about the law and law firms.